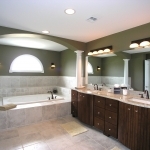 Let’s face it: drains play a crucial role in a fully functional home. One clogged or slow running drain’s inconvenience can add up to hours of frustration and expense trying to home remedy it. And if you have to call a professional for assistance, it can also be quite costly. You need the BEST Natural Drain Cleaner! There are plenty of drain cleaning products on the market that claim to unclog drains easily and inexpensively, but they aren’t all safe for your pipes; their long-term value is questionable. Some drain cleaning products that you pour down the drain to dissolve clogs can actually corrode the inside of your pipes — and with continued use, can create a leak, which negates the savings you thought you had by using a retail drain cleaner. Unlike the most off-the-shelf solutions, there’s a new pipe-friendly product available called BioSmart Drain Maid. BioSmart is an organic drain cleaner that will effectively dissolve anything that goes down your drain. It is the BEST Natural Drain Cleaner. Its remediation formula is not just effective in treating your drains, but it is also environmentally friendly. BioSmart’s naturally occurring live enzyme cultures can be introduced directly into plumbing and septic systems. The patented BioSmart Drain Maid Hungry Bacteria get to work immediately on degradation of fat, oil, grease and organic waste build-up through natural biological digestion. 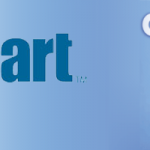 Countless of happy customers brag about how they solved their chronic drain and pipe clogs with BioSmart and how they now remain clog free by using the BEST Natural Drain Cleaner. 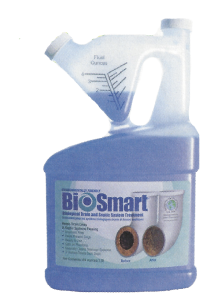 BioSmart Drain Maid is safe for pipes, septic systems, drain fields, municipal waste water treatment plants, and the environment because it is free from harmful chemicals. BioSmart has met the EPA’s challenge for biological drain line, grease trap and septic system products by demonstrating a more positive human health and environmental profile. Easy to use, simply pour ½ cup of BioSmart Drain Maid down your drain once a month for preventative maintenance, a whole cup for a clogged drain. A $55 bottle of BioSmart Drain Maid will last you approximately one year and costs significantly less than a single visit from a plumber. BioSmart Drain Maid is only sold through professional plumbers. Knoxville Plumbing has bottles available for pick-up at our location in North Knoxville, and all of our plumbers have it available for purchase during in-home service visits. AND we also have it available online for you to purchase too! Say good-bye to clogged drains and corrosive chemicals with Organic Drain Cleaner– BioSmart Drain Maid.